You guys. Demo day is less than a month away! 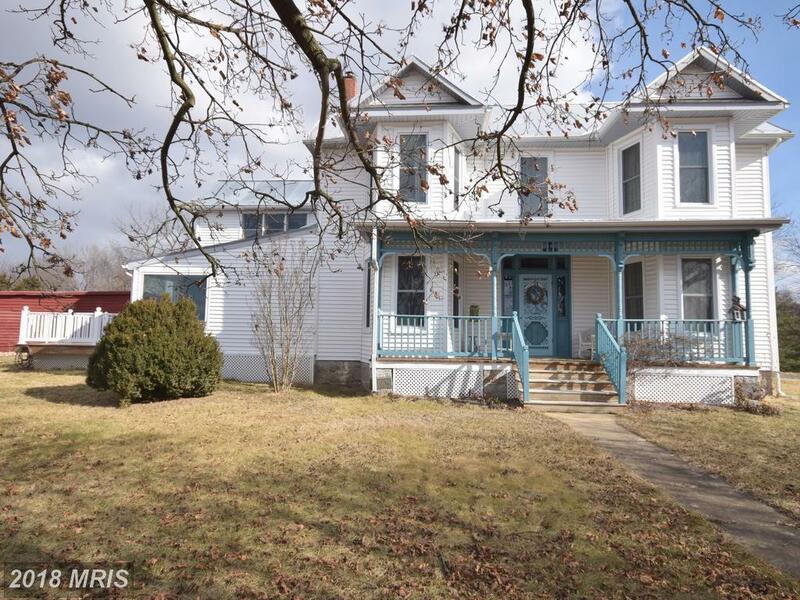 The architect has been by, permits have been pulled, cabinets are being made, appliances are ordered, and it’s now almost not moving fast enough! I wish that it was August 27th, yesterday! Here’s a few images that inspired the end design that we came up with! We’re going with a shaker style, stacked cabinet. The lower cabinets will be black and uppers white! 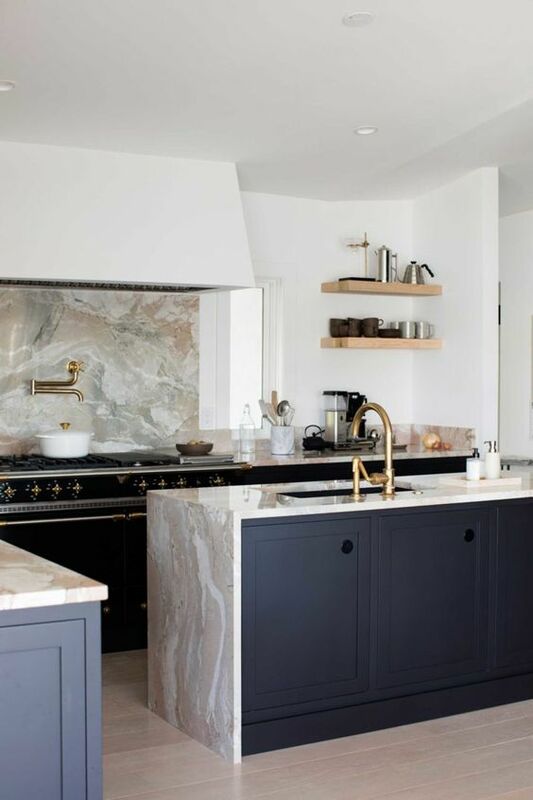 Countertops were a debate. We weighed the different materials – granite, marble, quartz and even porcelain! Each material has its own pros and cons but we ultimately decided on quartz. Low maintenance and being able to predict what each slab is going to look like (read: reduce my stress as much as possible) contributed to it became the clear winner! It was SO much fun going through and seeing all the giant slabs in person. So much fun that we changed our minds about 5 times on what we wanted! 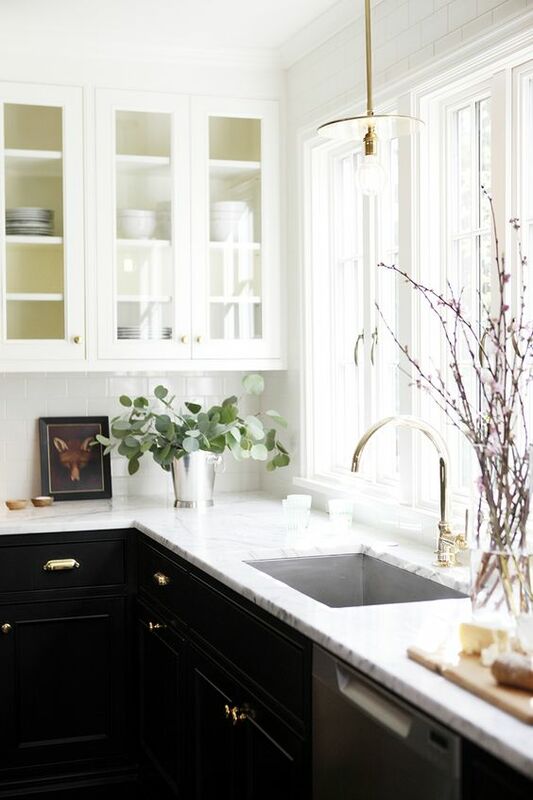 We narrowed it down to three and then two and after seeing the samples in our space (which I highly recommend because of lighting) and comparing to the color of our cabinets we picked a winner. 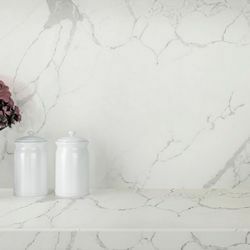 We’re going with Calacatta Verona quartz! 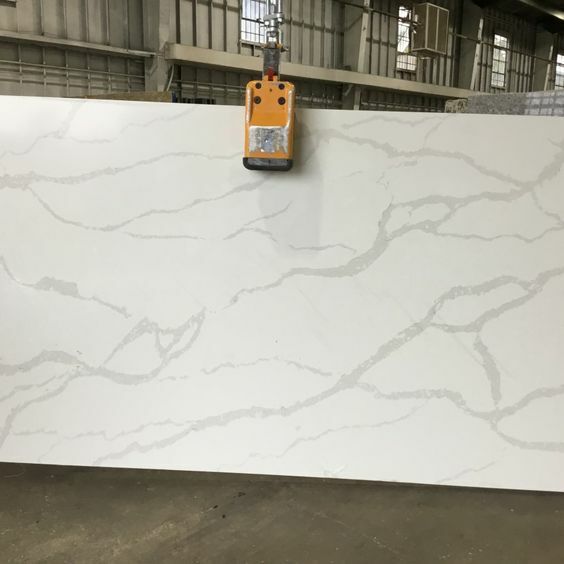 The veins are lighter than other slabs, yet still defined and will hopefully make a really beautiful match for the island’s waterfall edge and slab backsplash. 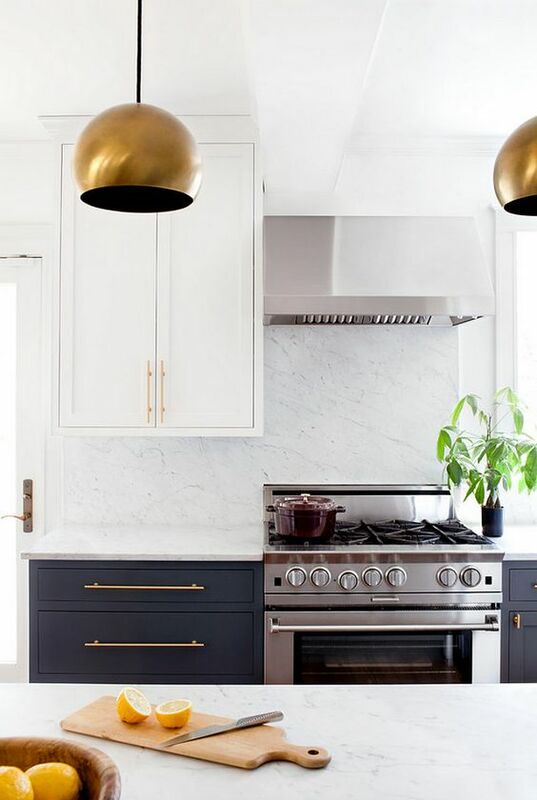 Which brings me to the next piece of inspiration… backsplashes. Pretty much from the very beginning I knew that I wanted waterfall edges on the island and a slab backsplash. I love the look those two features both create. Unfortunately this meant that we needed to get a second slab to cover the sq. footage, but I thought it was worth the extra cost. 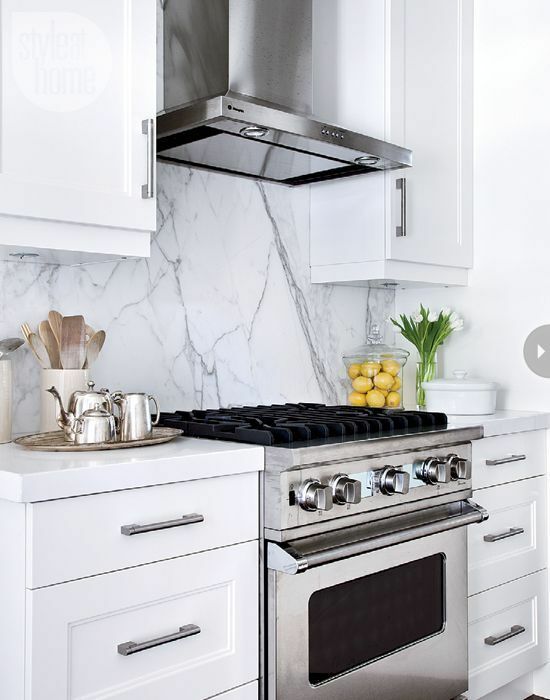 Changing to a subway tile (which is everywhere) or some sort of design would change the whole look that I was going for and since our space is smaller, the less busy the better to create an open and larger appearance. Now that the big stuff is figure out it’s time to make a decision on hardware, faucet, sink and a wall shelf for the back room! Stand by for those posts! Use art that you really love. Art should speak to you and not something that you pick up just because. Plus good art is expensive! Even prints end up adding up when you mat, frame, etc. Sure you can find some good prints and pieces at homegoods, but if you find a piece that makes your heart flutter just go for it because I guarantee you’ll kick yourself for passing it up, or spend hours searching to find it again! Pick an anchor piece. The anchor piece of art should be the decider of how much cohesion and difference is in your gallery wall. And don’t be fooled- anchor pieces don’t necessarily have to be the biggest piece of artwork on your wall but make sure it’s not lost with the other pieces displayed! Have the right amount of cohesion and difference. I’m a big fan of mixing mediums and gallery walls is the perfect opportunity to do so. Choose different metal frames, add wood frame in there too. Try to keep it to 2-3 different color frames depending on how many photos are included. 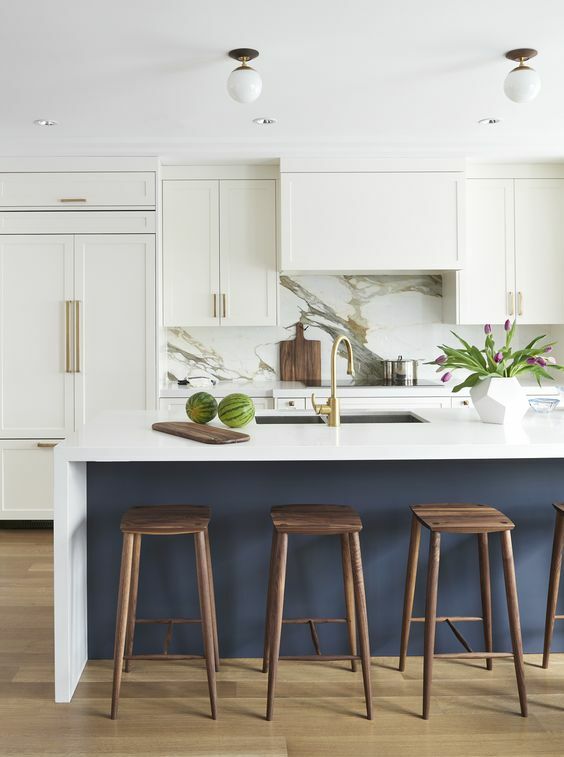 Another way to not get too mismatched is to stick with all wood shades, or the same color such as black or white but mixing between wood and metal frames. Always, always mix photography and prints and paintings. Pull out certain colors and/or shapes from your anchor piece to help balance the differences and similarities. Don’t overwhelm the space. Gallery walls do not need to cover corner to corner. In my collection above I picked 4 pieces that spoke to me. I could have kept adding pieces but I tend to lean toward simple rather than complex. If you have a small wall sometimes adding a bunch of art brings that wall to life. If you have a large wall sometimes adding a bunch of art just looks messy. Make sure you consider other elements in the room when designing and organizing your gallery wall. I’d keep the wood floors (they’re in perfect condition from the looks of it), build up the shelves to the ceiling and fill them with books, color coordinated of course., and probably give them a fresh new stain- potentially in a richer shade of brown. Remove the old ceiling fan and replace with a light fixture like this or keep a fan and replace with this one, wallpaper the remaining walls, and add some very old school furniture that you can’t help but curl up with a book on. We aren’t so good at planning vacations in advance. We kick around an idea for a week or two and next thing you know we have a flight booked and less than a month to figure out what we’re going to do in Germany. Yes, this year’s European adventure will be walking the Berlin wall, frolicking around Prussian Palaces and taking in all the beer… I mean culture! Hydrate: I’ve read that a plane cabin is drier than the Sahara Desert (seriously!) so I make sure to start hydrating days before I step foot into the airport. A few days before flights I start really focusing on loading up my skin and body with as much hydration as possible. I love rich oils and serums to deeply moisturize my face and hands and always pack them in my carry-on. I literally walk around with a water bottle making sure my body is getting at least the recommended 8, 8 oz. glasses of H2O a day and I typically purchase a bottle post security once I’m settled at my gate. Snacks: Typical airline snacks such as nuts, crackers, pretzels or chips are loaded with salt which is just going to zero out all the hydration work you put in. Pack a healthy snack such as homemade trail mix, carrot sticks or herbal tea bags. Packing snacks that aren’t high in sugar, carbs, and dairy will decrease inflammatory conditions and help to ensure you aren’t starting your trip off with a fresh blemish! Sanitizing Wipes: I don’t know why in the world this one took me so long to incorporate into my travelling, but packs of sanitizing wipes were basically made for traveling. Wipe down your seat, your hands, anything you want to prevent you from getting sick! Plus they’re only about a dollar so they won’t hit your vacation budget! Scarves: If you’re traveling in the winter packing a scarf is a no brainer but I love to travel with a pashmina or cape/blanket scarf any time of the year! The dry air and temperature in the cabin changes so quickly it’s nice to have something to cover up with if you get a little chilly on your flight! Comfort is Key: This is kind of a no brainer, but wear comfortable clothes (see tip above) and shoes that are easy to travel in. I recommend closed toe shoes that are easy to slip in and out of like mules or slip on sneakers so your toes won’t get run over by luggage. For longer flights I typically pack a pair of compression socks and put them on soon after take off before my feet can start swelling if I haven’t hydrated well enough! I know these aren’t ground breaking tips but they’ve worked for me over the years and hopefully will be just a little friendly reminder if you have an upcoming trip planned! Safe travels!! You’re never going to believe how much I practically s t o l e this look for. Top, pants, AND shipping came out to $30.03. Seriously! I can’t make this up! I saw the top featured in an instagram post and watched for my LikedtoKnow.it email to arrive in my inbox like a hawk. I knew the silky satin material of the cold shoulder top would be so romantic for date nights and perfect to throw on for holiday dinners this winter. I followed the link and to my surprise the top was on sale for $12! I was even more surprised when I saw on the side of the screen these pants for a whopping 80 cents more! You better believe I was doing a happy dance, almost frantically clicking to check-out in case the pieces were priced in error! Both the top & pants for under $13 a piece… talk about a deal!! I don’t visit Kohls often, but after this purchase I am definitely going to keep my eye on the LC Lauren Conrad collection. I mean how cute is this dress?! And these oxblood velvet leggings would be so sassy for Christmas dinner – not to mention the elastic waist would be oh so perfect for going back for seconds! A lot of the pieces out there right now are in blush, burgundy and navy shades which all are on my love list. I’ve linked a few of my favorites below, most of which are under $50, and my outfit details! Happy savings!..I mean shopping!! You know all of the places that you pass every day and about every third day you say to yourself “I really should go there.” Yeah, that’s me. Every day to and from work I pass Gallaudet, Union Market, NoMA and tons of other little streets that I cannot wait to explore. But so often either I’m too tired, need to laundry, or something else “prevents” me from just going there! One random night the other week it was like everything was working in my favor. I left work at a reasonable time with sunlight still shining, I wasn’t sitting in hours of traffic, the weather was just about perfect, and we had nothing to do. (Well, at least no chores that we wanted to do.) Insert: We had no excuse not to try out a new place for a spur of the moment date night! We strolled through Gallaudet University, which is beautiful – the campus is so much bigger than I assumed, and the grounds are really well kept- and made our way to Union Market. We did a round and decided to pick out a few cheese, order a glass of wine, and found a little table outside to enjoy our spread from Righteous Cheese. We sat, talked, and tried to keep our phones away for a couple of hours to enjoy the beautiful fall evening together!